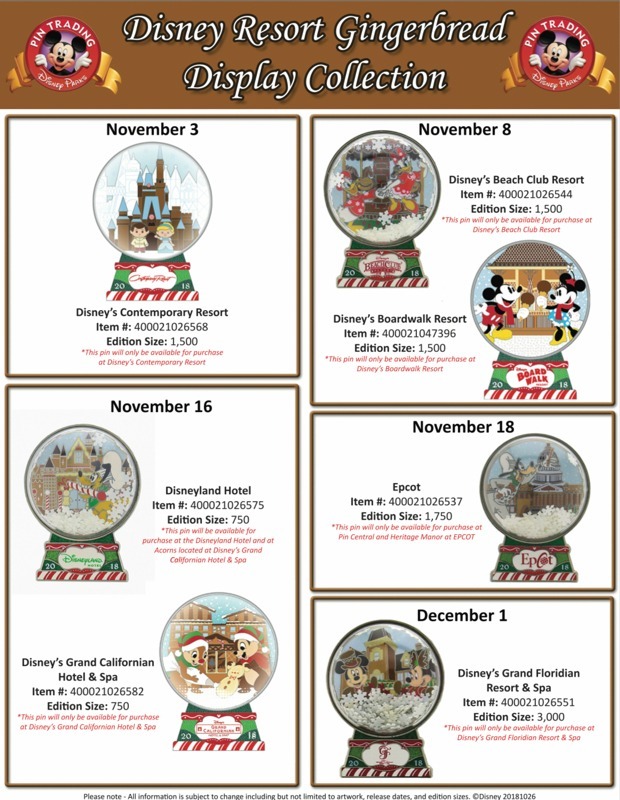 Spending time during the holiday season at a Disney theme park can be very magical, especially with all the festive Christmas decor and merchandise throughout the Resort. 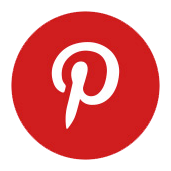 Disney pins are one of the most popular souvenirs to bring home from your Disney vacation and Pin Trading can be a ton of fun as well. 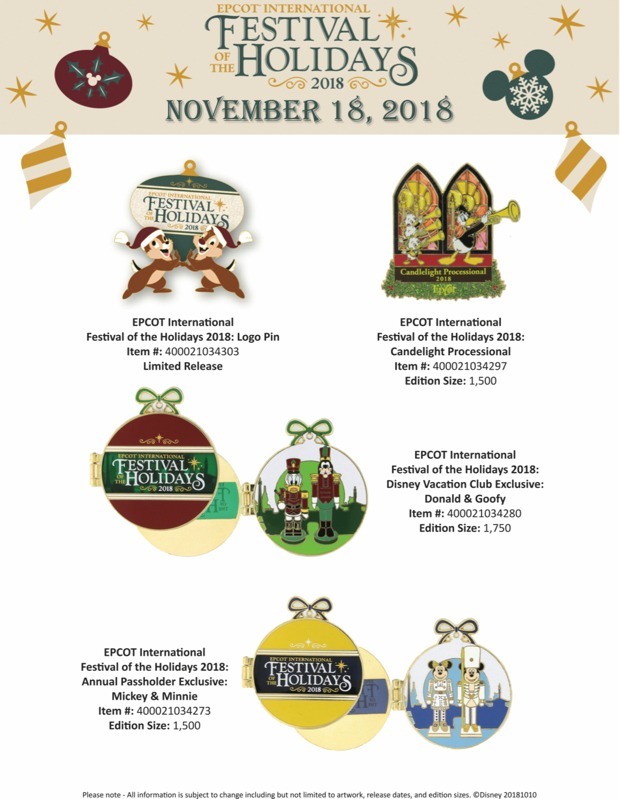 Images of the entire 2018 collection of Disney Holiday pins are now available to view. 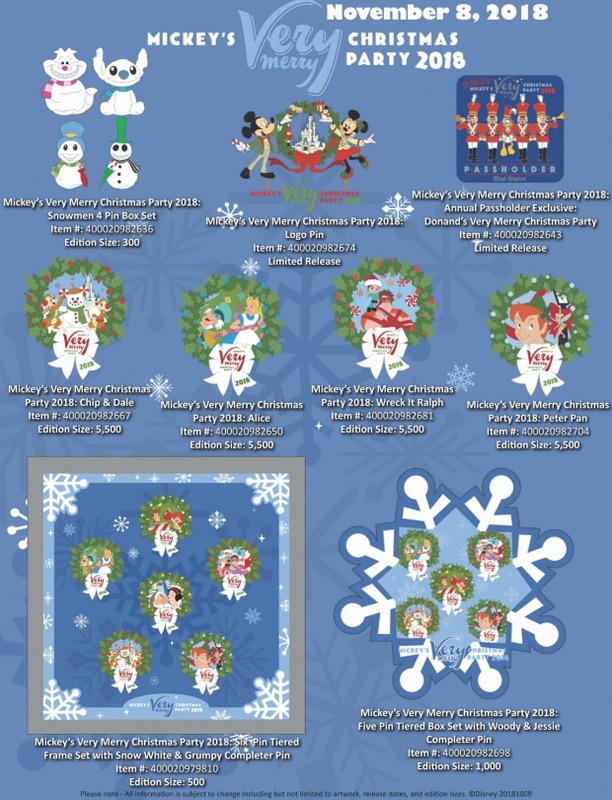 There are special pins for the Epcot International Festival of the Holidays, Mickey’s Very Merry Christmas Party, and even for the Disney Resort Gingerbread Displays. 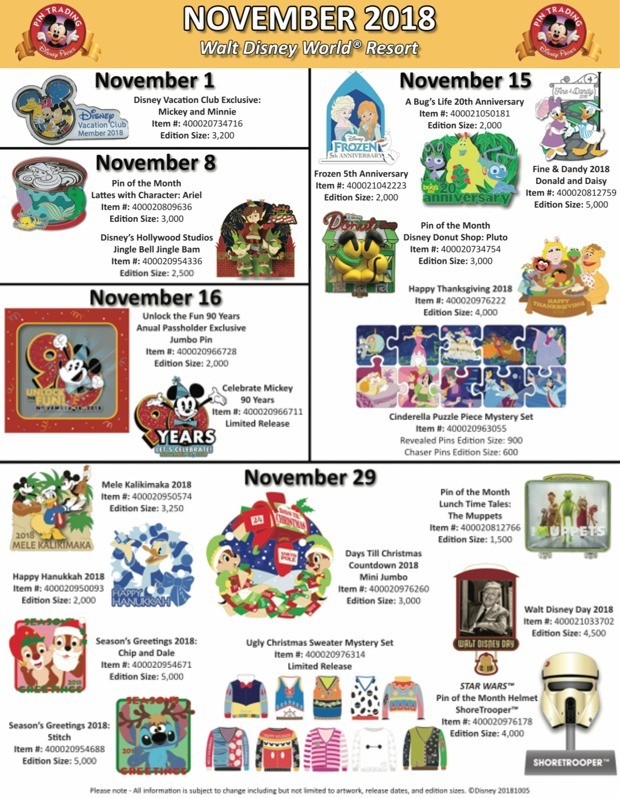 Guests will also find a special pin for celebrating Mickey Mouse’s 90th Birthday, the Candlelight Processional, Jingle Bell Jingle BAM!, and several Annual Passholder pins as well as many others.